Since the engine uses the readings from both the crankshaft and the camshaft sensor, it can be established that disturbance of either sensor can affect the readings and the performance of your engine. 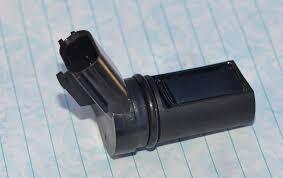 Camshaft sensor works at all times whenever you’re driving the vehicle or the engine is on. This is why the camshaft sensor can go bad with the passage of time. The ring gear can also wear out and disturb the readings. Apart from the drive, the camshaft can also go bad in case of an accident or if the water gets into your vehicle since it is an electronic part as much as it is mechanical. There can be a number of other reasons for a failing camshaft. Mechanical damage to the sensor or the wires can cause it to hesitate or fail completely. Internal short circuits can make the camshaft sensor chips go bad. It can also fail due to the breaking of the encoder wheel. Otherwise, it can cause issues if by any chance there is an interruption in the connection between the sensor and the control unit. The camshaft position sensor is a crucial part of the engine management which ensures that the engine runs smoothly. The sensor is responsible for collecting information about the car’s camshaft speed and send it to the Engine Control Module (ECM). This data is used to determine the ignition timing and fuel injection timing. If the camshaft sensor fails, the engine suffers as well as causing problems with acceleration, fuel efficiency, ignition problems and more. In this article, we will look at some common symptoms which will help you determine if your car’s camshaft position sensor has failed or is faulty. 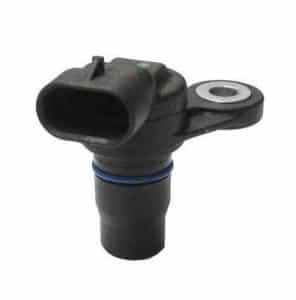 The camshaft position sensor can get damaged over the time due to an accident or regular wear and tear. It is sometimes damaged due to oil leakage as well. Here are some of the symptoms which will help you figure out whether your camshaft sensor is damaged or not. The most common symptoms of a bad camshaft position sensor are hard starting conditions and the engine will probably have lower performance. A bad camshaft position sensor can set the engine into limp mode, which is a state where you got limited functions for your engine. Here you will find some descriptions of the most common symptoms. One of the most common problems which occur due to a bad camshaft position sensor is that the engine’s performance reduces drastically. You will notice frequent stalling, idling and drop in RPM. The fuel efficiency will drop as well. All these issues should be addressed immediately and they usually occur due to a damaged camshaft position sensor. Besides engine vibration and stalling, a bad camshaft sensor also causes the acceleration to drop significantly. If you cannot drive past 35 miles per hours, it may most probably be due to a faulty camshaft sensor. In some cars with an automatic gearbox, the transmission gets locked and stays stuck on a single gear due to a damaged camshaft position sensor. To shift the gear, the driver has to shut off the engine, change the gear and turn on the engine again. However, the gear gets stuck again. As the camshaft sensor weakens, it does not send the signal to the onboard computer and as a result, the ignition system cannot create a spark. No spark means that the engine will not start at all indicating that the camshaft sensor has totally failed. The check engine light illuminates due to plenty of reasons including when the camshaft position sensor fails. If the check engine light on your car comes on, it is recommended to visit an auto specialist and have your car scanned to check the error code. People usually ignore the check engine light without knowing that it can be a sign of something serious including engine failure. The core functionality of the camshaft sensor is to work in combination with the crankshaft sensor of your vehicle. This part serves the purpose of determining the position of the crankshaft drive very accurately. As a result, it generates the signals just like the crankshaft positioning sensor does. It helps the engine to determine the exact moment when the first cylinder is at the top dead point position. The information generated by the camshaft is used by the engine system for different purposes. Essentially, the information helps the injection process to start during the sequential injection. It also helps the actuation signal for the pump nozzle injection system and calibrates the knocking control. Hall principle is the core working concept of a camshaft sensor. A ring gear on the camshaft is scanned, and the ring gear rotation causes a change in the voltage of the Hall IC located in the sensor head. As a result, this induces a change in the control unit voltage transmission. The information resulting from the change is electronically read and evaluated by the computerized system to acquire the data. In other words, a bad camshaft can also hinder the functionality of the crankshaft position sensor and ultimately it will cause various issues to the overall experience you have with your vehicle in terms of engine performance. Where is the Camshaft Position Sensor located? The camshaft sensor is mostly mounted to the engine block or the cylinder head of the engine in most vehicles. The location of the camshaft sensor can be different depending on the engine model and manufacturer. Use the service manual guide of your vehicle to locate it in case you are not able to find it. To test the camshaft sensor, we need to employ a number of techniques to check if it is working. The first step is to locate and remove the camshaft sensor. The camshaft position sensor can be found near the crankshaft and is positioned above the engine cylinder head. Since the sensor is easily accessible and no other part has to be removed to access it, installing a new one is easy as well. Once the old camshaft position sensor is located, you need to remove it. The sensor is fixed with the help of bolts and plugs which can be removed using a socket wrench. Since the sensor is connected to the ignition system via wires, unplug those wires as well. Finally, remove the sensor from the casing. Once the test has been conducted and you are sure that the camshaft position sensor isn’t working, it is time to install a new one. Place the sensor on the same slot from which you removed the old sensor. To ensure that the sensor installs perfectly, it is recommended to install new O-rings as well. Also, make sure to apply a little engine oil to the rings before placing them in place. Install the new O-Rings, place it on the cylinder then screw the bolts. Once the camshaft sensor is in its place, connect the wires leading to the ignition system. After installing the new camshaft position sensor, start the engine and take your car out for a spin. Notice if the car starts properly this time and the check engine light disappears. The average replacement cost of a camshaft sensor is between $100 and $250. The part itself cost between $75 and $120, while the labour cost comes between $30 and $130. A little market research will help you get the best price for the replacement part and the labour cost involved. On average, this part is relatively not very expensive and the cost of a camshaft position sensor replacement would be anywhere between $75 to as much as $120 for most vehicles. These prices may differ depending on which supplier you are buying it from, the place where you live, and the company that is manufacturing them. The cost of replacement in a luxury vehicle can be relatively much higher. If you are not replacing the camshaft positioning sensor by yourself and the labor is involved, the cost for replacement would add up another $30 to $130 for the labor, depending on which car shop you’re getting it fixed from. Replacing it by yourself would almost reduce your replacement cost by half. It can easily be replaced with the help of the tools that you would most probably have. Checking a failing camshaft sensor has a two-way diagnostic procedure. Primary it is confirmed by physically doing a diagnostic test. Secondarily you can observe the various issues that it brings and the symptoms that are caused due to a bad camshaft sensor. 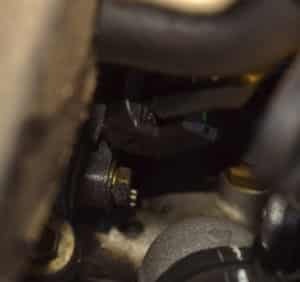 To effectively diagnose a failing camshaft sensor, here is a step by step process that you can follow which will help you with the diagnosis. • Observe the symptom of difficulty while starting your engine. • Check to see if the engine indicator lamp is illuminated. • Make sure by checking if the control unit has entered an emergency program. • By using an Ohmmeter, check the connection line from the control unit. • Check the connection lines for a short circuit to the frame, the value should be above 30 MOhm. • Switch your multimeter to volts and check the supply voltage from the control unit to the sensor while the ignition is on. Refer to service manual for reference values of your manufacturer. Normally the value should be around 5 Volts. • After checking the supply voltage, check the signal voltage by connecting the cables from an oscilloscope and turn on the engine. See if there is a square wave signal on the oscilloscope which should be the usual scenario.